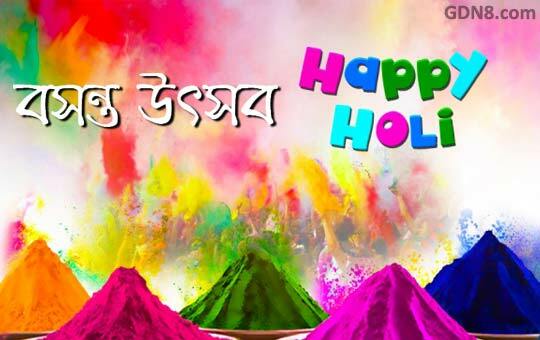 Basanta Utsav And Holi Special Bengali Songs Lyrics. This Festival Was Started By Rabindranath Thakur At Shantiniketan. Bosonto Utsav Song : Nil Digantey, Ore Bhai Phagun Legechhe, Mamo Chitte And Many Others Spring Festival Songs Are Written And Music Composed By Rabindranath Tagore. This Songs Sung By Verious Artist. Holi by the name of Basant Utsav and Spring Festival is celebrated with fervour in the state of West Bengal.